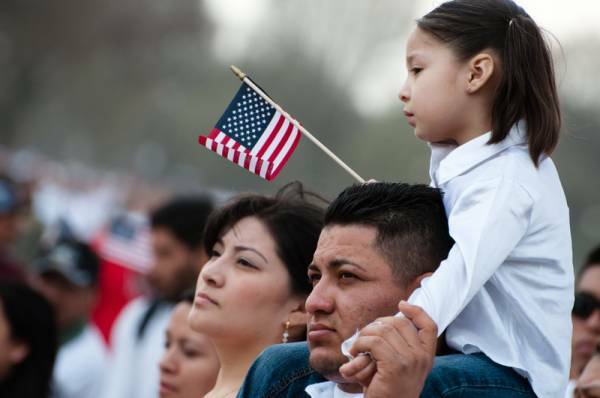 Temporary Protected Status or TPS, is a temporary immigration benefit for individuals from a country that is experiencing ongoing armed conflict, environmental disaster, or another temporary serious condition. Individuals who are granted TPS receive two main benefits: 1) protection from deportation/removal; and 2) authorization to work in the United States. Upon the date of termination, TPS holders from these countries will no longer be safe from deportation, and will no longer have authorization to work in the United States. The decision to end TPS for these countries puts nearly 250,000 people from those countries into uncertainty as to whether they will be able to continue their lives in the United States or be returned to their home countries. The Trump Administration’s decision to terminate TPS for those four countries has been challenged by a number of lawsuits. On October 4, 2018, in the case of Ramos et al v. Nielson, US District Judge Edward Chen granted a preliminary injunction stopping the Trump Administration from terminating TPS for individuals from Sudan, El Salvador, Haiti and Nicaragua. Judge Chen found that the Trump Administration had not followed the appropriate process in determining whether or not to continue TPS protections for these countries. In response to the preliminary injunction, the Department of Homeland Security (DHS) has published a rule in the Federal Registrar to comply with the injunction. The plan provides that individuals with TPS from Sudan, El Salvador, Haiti and Nicaragua will retain their TPS while the preliminary injunction remains in effect. Because TPS was set to expire so soon for individuals from Sudan and Nicaragua, the DHS rule will automatically renew TPS and work authorization for TPS holders from Sudan and Nicaragua until April 2, 2019. TPS holders from El Salvador and Haiti will continue to maintain their TPS while the preliminary injunction is in effect. Their TPS will not automatically be renewed. If the preliminary injunction remains in place, DHS will issue another notice approximately 30 days before April 2, 2019, to extend TPS for Sudan, El Salvador, Haiti, and Nicaragua for an additional 9 months. In the event that the preliminary injunction is reversed, DHS will continue with their plan to terminate TPS for Sudan, El Salvador, Haiti and Nicaragua. Termination of TPS will go into effect either: 1) 120 days after order permitting termination or 2) on the previously announced termination date – whichever date is later. While TPS remains valid, TPS beneficiaries who have not re-registered for TPS during the last registration period can still file to re-register, but must demonstrate “good cause” for their failure to re-register on time. Any individual with TPS should continue to monitor uscis.gov for updates regarding re-registration and the status of the preliminary injunction protecting those from Sudan, El Salvador, Haiti and Nicaragua. For more information on the status of TPS for any country, re-registering for TPS, or other immigration-related inquiries, please contact Kolko & Associates, P.C. Alex Gavern is an Associate Attorney at Kolko & Casey, P.C.